The health and wealth prosperity gospel is a lie. Prosperity preachers teach that if you serve the Lord, everything is always going to go well for you. A lot of times because we are reacting to that lie, we lose sight of the fact that God will bless our obedience. With every false doctrine, there’s usually some truth mixed in. The truth of the matter is that God will reward and prosper us in the end, but we have also been called to a life of suffering and affliction. Jeremiah’s life is a perfect example of this. In Jeremiah 40 we see the aftermath of the fall of Jerusalem. They besieged Jerusalem for a long time. They killed all the princes. They put out Zedekiah’s eyes. The city is destroyed, the houses have been burned, and the Chaldeans have taken over. Nebuzaradan basically told Jeremiah if you want to come to Babylon, I’ll personally take care of you and make sure you have what you need. Or if you don’t think it’s a good idea to go to Babylon, stay here. God miraculously worked in the hearts of Nebuchadnezzar, Nebuzaradan, and others in order to bless Jeremiah. Jeremiah had been through a lot of hard times up until this point. He spent a lot of time in prison. One of the times he was in a pit of mire that was literally like the hole of an outhouse with no food to eat. In Jeremiah 40, Jeremiah is at that point in his life where he’s paid his dues and things are finally turning around for him. He has money and freedom and gets to live wherever he wants. God will prosper us for doing right, but what the health and wealth preachers leave out is all the trials and heartache along the way. We need to understand that there’s a timeline: First there is suffering; then we are blessed. When you live for the Lord, you’re going to be blessed in the end. Eventually, you’re going to prosper. It may not seem like it right now, but someday when you look back at your life, you’re going to be able to say, "Jesus led me all the way." Hi Pastor Anderson. We are praying God will raise up a man of God like yourself here in Australia! Thanks for your sermons and blog posts, as a family we are learning so much. Have you heard about the NAR (New Apostolic Reformation) movement which has "apostles" namely Bill Johnson from Bethel Church (gold dust and feather miracles falling on him - he is really creepy how he talks and thinks he is so Godly) and Heidi Baker. Their aim is to take dominion over seven spheres of life on Earth, in order to activate the reign of Jesus’ Kingdom. It’s called the “7 Mountain Mandate,” in which Christians are to dominate and fix business, government, media, education, the family, religion, and arts and entertainment. They are huge too in followers...have some ritual called gravesucking, taking the mantle from dead "Christians" and their sunday school leader takes the children on excursions to heaven! 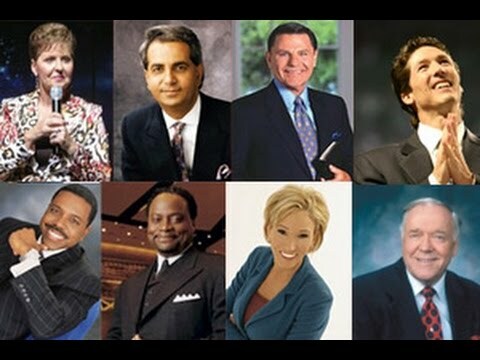 You should check them out they are a bit more subtle than word of faith cult like kenneth copeland. It would be hard for a young person to find something wrong with what they're preaching (if one wasn't a Berean!) They remind me of the Pied Piper. They need to be exposed for the sake of our children who are flocking to this movement.